At Insta Plus printing we have in-house state of the art CTP (computer-to-plate) technology and Digital proofing system. This allows us to transfer images directly from the computer to the printing plates, ensuring an output that exactly matches the original. We are able to preflight all customer supplied files and review them for any issues and either correct them internally or let the customer correct them on their own. 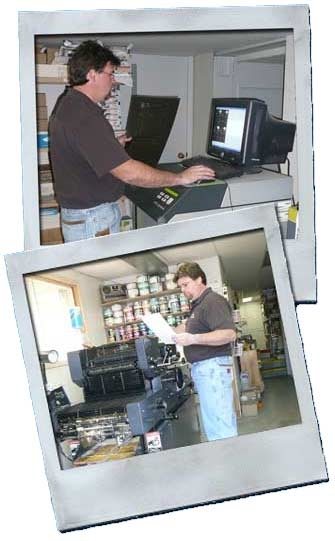 With our in-house AM 1450K offset printing equipment, we are able to print your jobs quickly. With offset printing we can work in full colour, multiple colours (Pantone Matching System), or black and white.